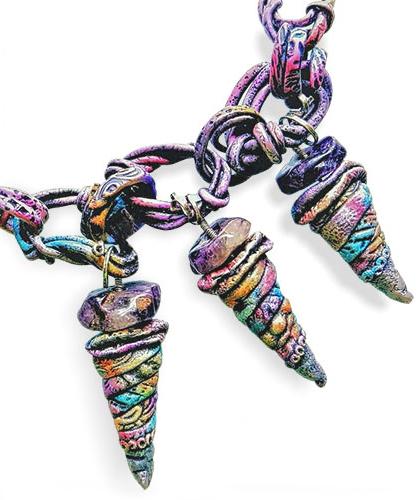 The links, the beads, the dangles are all polymer in this necklace from Vermont’s Christine Damm. Only a few spacers and jump rings are from other materials. Making all the components is a challenge and Christine’s not finished yet. 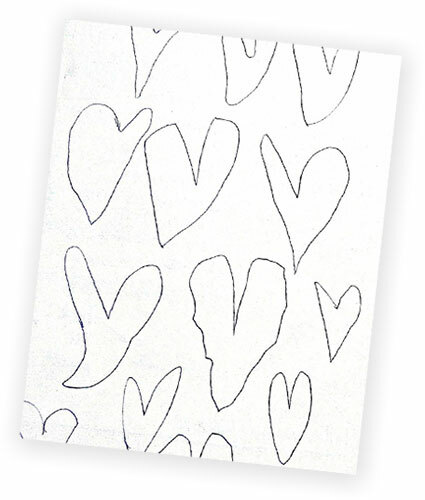 Every year about this time she also challenges herself to sketch some hearts fast and freehand. “I do these very rapidly, so my right brain gets to play without editing from the other side,” she explains. She makes new templates from these sketches and uses her stash of veneers to cut out new hearts. How many hearts can you draw in two minutes?